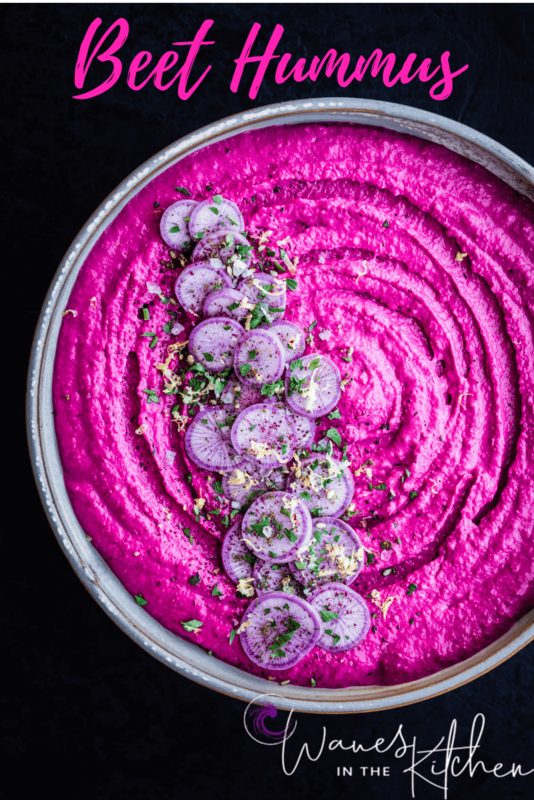 This roasted beet hummus recipe is officially the first recipe I’m ever sharing on my new blog! YAYA!!!! Seems apropos as apparently I found my visual voice and it’s very, very, very, purple. And this dish is basically me in hummus form. 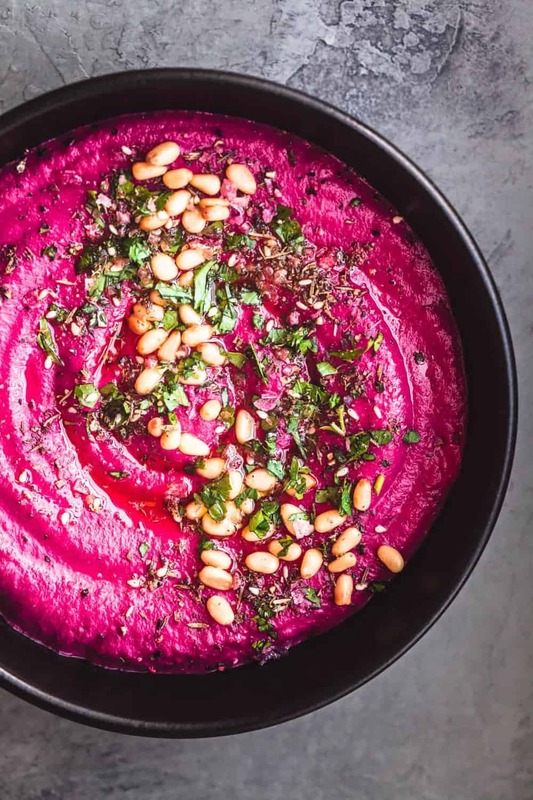 The addition of a roasted beet adds a touch of sweet earthiness and a fun twist to classic hummus. The vibrantly awesome pink color. Period. Using almost equal parts tahini to garbanzo beans makes the hummus ultra smooth and creamy. 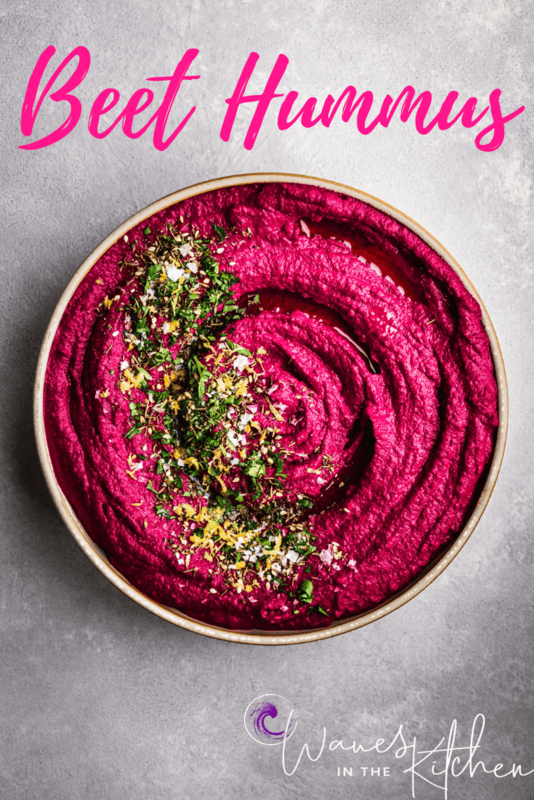 This hummus comes together super easily and quickly by pureeing all ingredients in a food processor. That’s it! 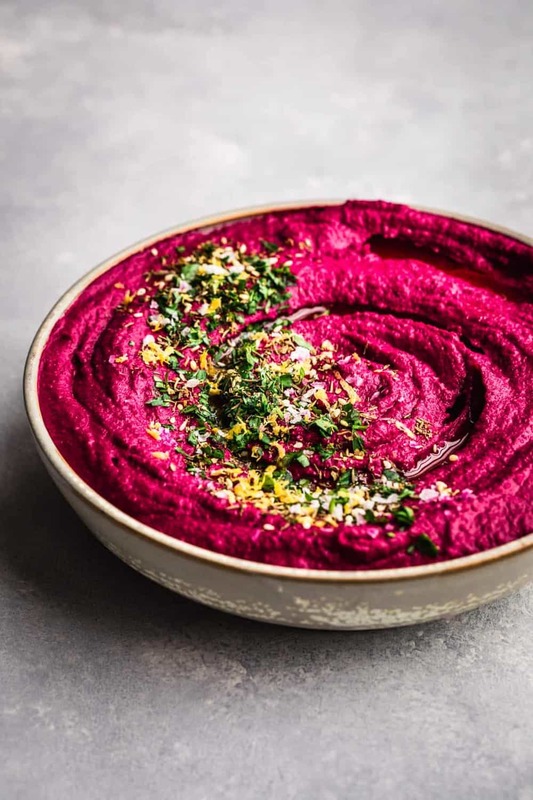 This hummus falls in that sweet magical intersection of low maintenance and highly impressive-looking, making it as perfect for an entertaining appetizer as for healthy weekday snacking. Hummus is a spread made from ground chickpeas, ground sesame seeds (tahini), olive oil, lemon, garlic and cumin, originating in the Middle East. 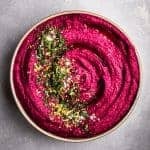 This dish is my classic hummus recipe with the addition of a roasted beet, and has become a quintessential dip of mine. Clients regularly reach out to request it for their parties, as the color never ceases to WOW folks. And the beets can be swapped out for other veggies as the possibilities are endless y’all! Check out my carrot hummus for another fun twist. May the hummus variation exploration continue! 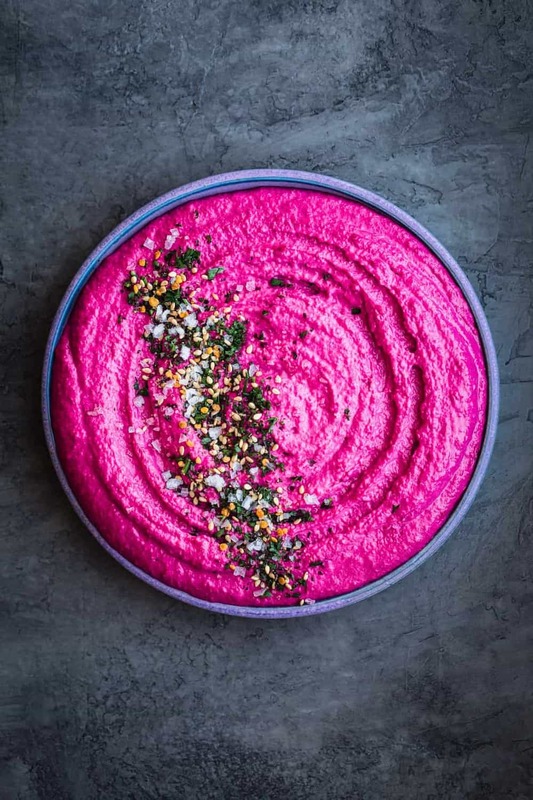 And for all of you roasted-beet-hummus-doubters out there…just hear me out. I like to think I know all about traditional hummus after living in the Middle East for 6 years and am all about playing with fun variations. So no, this is not a traditional hummus. 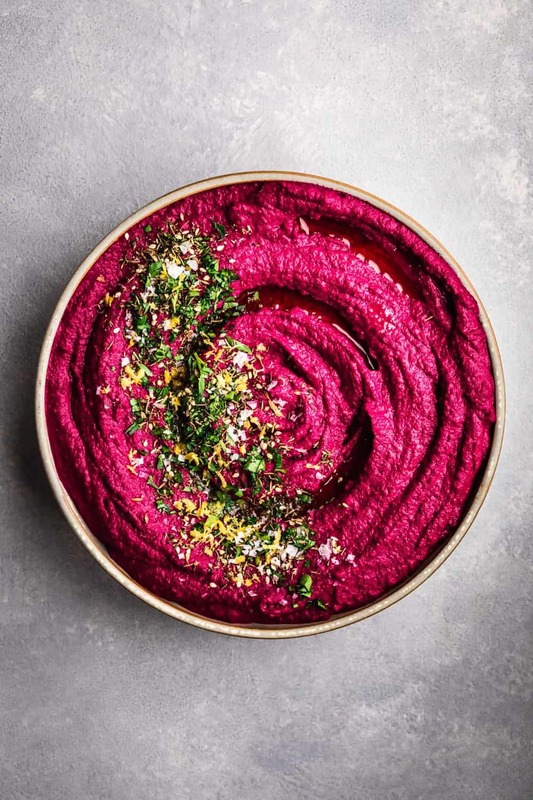 It’s a traditional hummus with the addition of a roasted beet, which adds a spectacular color, some more vitamins and minerals and a touch of sweet earthiness to traditional hummus. What’s not to love about that…?!?! Place all ingredients, aside from the olive oil, in a food processor and puree. With the motor running, slowly drizzle the olive oil in. Taste and season with additional salt and pepper as needed. And that’s it! All done! 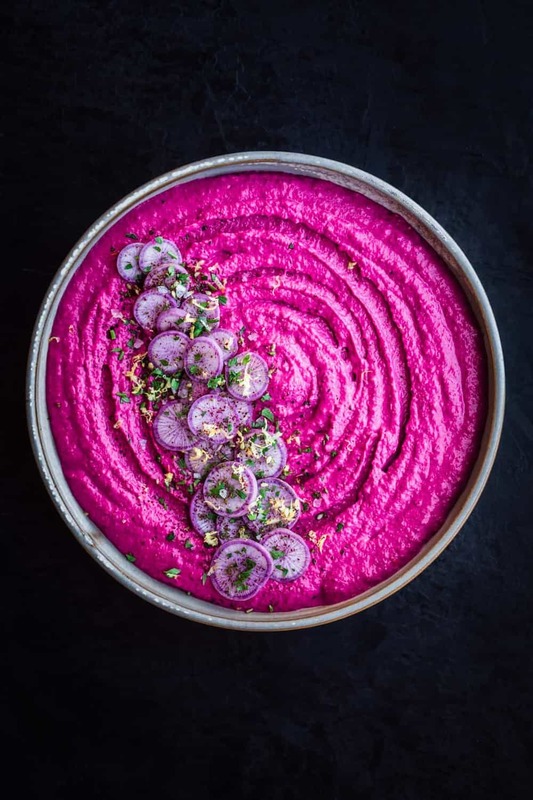 Be prepared that once you make this roasted beet hummus your guests will be wowed by the marvelous magenta color and flavor, and they’ll soon be asking ya to bring this dip whereva ya go too. To note: I generally use dried chickpeas that I soak and then cook but that’s because it’s literally my job to make everything from scratch. 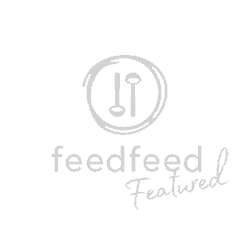 I want to make my recipes on here super easy and accessible so have written it out using canned chickpeas (which I’ve used as well). If you’d like to use fresh chickpeas just sub 3/4 cup of fresh instead of canned, soak and cook. 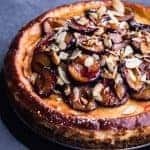 Can you make this with boiled beets instead? Yes absolutely! Let me know how it goes :). ? 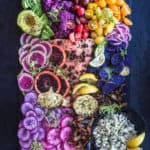 Looks DELICIOUS and that color us DIVINE ??????????? Looks DELICIOUS and the color is GORGEOUS ??????????? Thank you so much!!! Love the color too :). ??? That cracked me up about it being your voice. Hehe. This looks spectacular. It’s a beautiful color and has the best texture! And I agree, using dried chickpeas in any recipe instead of canned is so much better but sometimes canned is necessary for timing! I can’t wait to try it! What a great idea for a variation on hummus! That colour is so vibrant, it’s great t serve at parties! Yes exactly!!! Thanks so much for the super sweet feedback Carrie :). ?? Wow! This is such an amazing colour and I just love the presentation of it. It would be perfect for a dinner party appetizer. What a gorgeous color! I love how beets taint everything a beautiful hue. 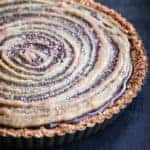 This is also delicious and good for you, wouldn’t know which topping to choose. Thanks so much Nicoletta!!! Really appreciate the super sweet feedback :). ?? 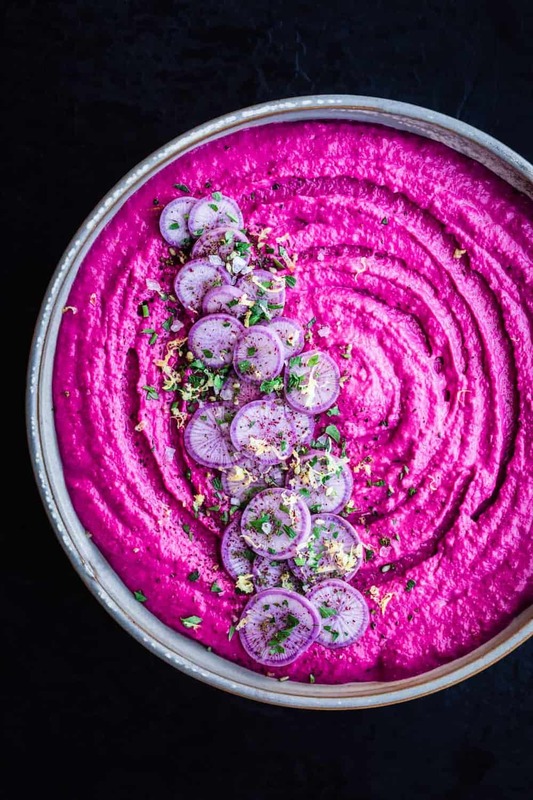 Love beet hummus! Beetroot adds so much delicious flavour and it has soooo many health benefits! Not to mention the colour is just phenomenal!!! 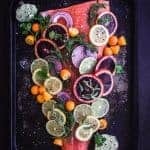 This dish is a pop of colors. 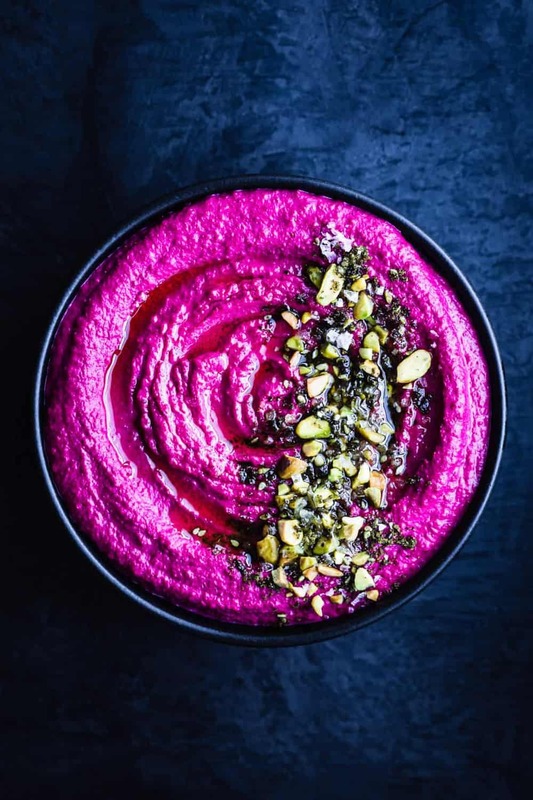 Beet hummus is always a great treat when you want a changeup from chick peas. Also a super healthy and colorful way to snack. Thanks for sharing! Oh my gosh, this hummus is GORGEOUS and I love how you demonstrate how to decorate it in different ways. I would probably go for the chopped pistachios as I LOVE pistachios and always have some on hand! Thank ya!!! Really appreciate the feedback! And pistachios are indeed a great hummus topping! ??? This is one beautiful bowl of hummus! And I’m sure it tastes delicious too. It definitely does! And thanks so mi h for the super sweet feedback :). ?? Absolutely beautiful color!!! I love how healthy this is!! I’ve not made my own hummus before but this is one I want to try! Yessss Amanda do it!!! 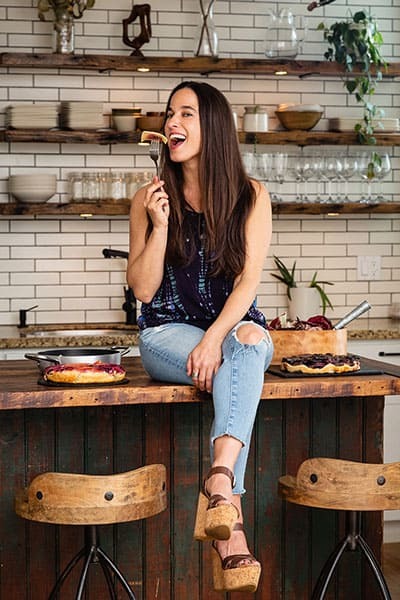 It’s so super simple to make at home and so much more delicious than anything you’ll buy at the store! Please let me know how it goes… I’d absolutely love to hear :). Holy gorgeousness! Who knew a dip could be THIS beautiful?! Hehehe… you are too kind Leslie! I love making absolutely stunningly beautiful dips :). They’re so easy to make and so fun to decorate! Oh. Emh. Gee. I just showed this to my husband and we both agreed that we need to make this! It looks delicious and that color is gorgeous!